reading when we started out and as we go along. need to know can be found in the pages of a book targeted to the RVer. the personal experiences of those who have “been there, done that”. And don’t miss the guides to help you plan your trip and stops. An Assortment of RV Books..
Insider’s Guide to Buying an RV: Get this e-book for quality help in buying an RV. Written by an expert in RV repair and maintenance, experienced as a Sales Manager & Finance & Insurance Manager for an RV Dealership. Owning an RV is meant to be fun. Making the wrong buying decisions is to be avoided. So get started on the way to an enjoyable RV ownership experience for years to come. Great insider insight from someone in the know! Make your RV buying process easier and know what to look for. stores, hospitals, rest areas, and more. 10 Minute Tech Vol 3: Get the latest in easy solutions to all sorts of maddening RV challenges. Easy-to-do, money-saving ideas. Save yourself some time by learning from others with similar experiences and handy know-how. This RV book has hundreds of tips, innovations and tricks to make your RV lifestyle fun, easy and safe. Fulltiming for New & Used RVers: Solid suggestions to make your transition smooth and easy whether you finally sold the house and really fulltime or are planning that extended trip. Reading Fulltiming for New and Used RVers will make your life easier. Written by a veteran RVer, it begins with advice for everyone thinking about or starting fulltiming. 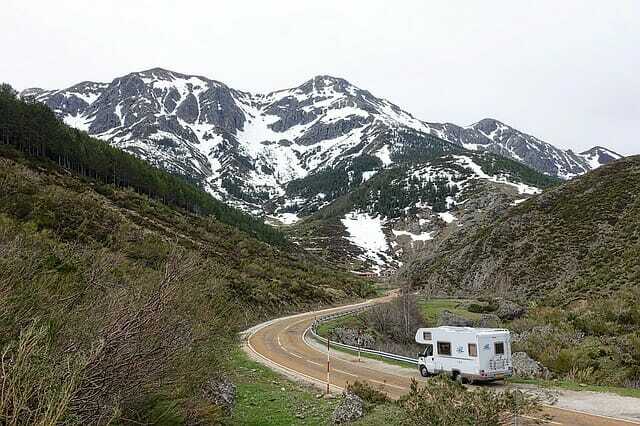 Author Ron Jones presents the pros and cons of traveling in a motorhome, fifth wheel, or other towable RV. Drive Your Motorhome Like a Pro: Now you can download this complete video guide to professional driving techniques that will help beginners and experienced drivers. Great tips, helpful techniques, and an understanding of the mechanics of driving can be applied to all vehicles you drive. Plus that extra boost of confidence that comes in handy behind the wheel of a motorhome. experiences. We love the different perspectives to help make decisions! Easy-to-understand, troubleshooting tips and step-by-step procedures to save you money. And be sure to browse our other RV products.